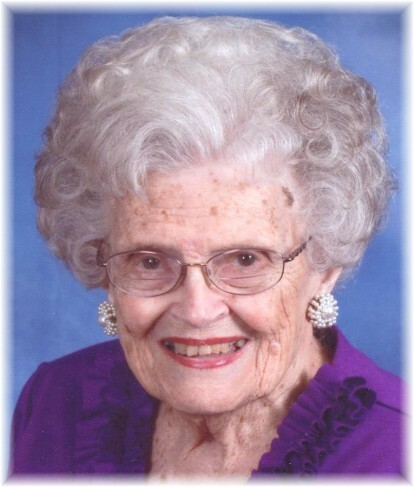 Cleota Ann Bullock Lenert, 94, of Graham, Texas died Monday, January 28, 2019 at Elmcroft Senior Living in Graham. She was born on May 8, 1924 in Bryan, Texas to Joel Marshall Bullock and Lottie Earl Simons Bullock. She married August A. Lenert, Jr. on December 27, 1943 in Bryan, Texas. She graduated from Baylor University with a BA in Education in 1953. Cleota was a 66-year member of the First Baptist Church of Fort Walton Beach, Florida and a member of the First Baptist Church of Graham since 2012. She loved the Lord, her family, the church, missions, the Bible and prayer. She helped begin the college and career ministry at the church, ministering to school teachers and airmen from Eglin Air Force Base. She served with her husband, August, in the church for 59 years before his death in 2002. She was a faithful wife to August throughout his career as an aeronautical engineer at Eglin Air Force Base. Cleota was a former President of Woman’s Missionary Union of Florida (1969-74); former Vice-President of Woman’s Missionary Union of the Southern Baptist Convention (1969-74); former trustee at Florida Baptist Children’s Home, Lakeland, Florida; former trustee of Baptist College of Florida, Graceville, Florida; former Church Organist, First Baptist Church, Fort Walton Beach, Florida for 25 years; taught English as a second language to international students; and for over 50 years, taught Sunday School and led WMU in the church and association. She loved living at Elmcroft Senior Living where she fulfilled a lifelong dream of flying in a hot air balloon at the age 92 awarded by the Wish of a Lifetime Foundation. Survivors include her daughter, Earl Ann Lenert Bumpus and her husband Dr. Mark Bumpus of Graham, Texas; granddaughter Katy Bumpus Hartt and husband Blake of Georgetown, Texas; grandson Marshall Bumpus of Houston, Texas; great-granddaughter Hatley Hartt of Georgetown; brother-in-law Jack Swatzell of Possum Kingdom Lake, Texas; niece Susan Swatzell Roberts and husband Rick of Southlake, Texas; nephew Jack Swatzell and wife Beth of Cleburne, Texas; nephew Kyle Anderson and wife Amy of Williamsburg, Virginia; nephew Sam Anderson and wife Janet of Edmond, Oklahoma; niece Cindy Anderson of Garland, Texas; cousins Lindsey Kroll of Houston; Ross Kroll of Webster, Texas; Charlotte Kroll of Washington, DC; and Shirley Johnson of San Antonio, Texas. The family will receive friends from 4:00-5:45 pm Wednesday, January 30 at Morrison Funeral Home, Graham. Funeral services will be conducted at 2:00 pm, Saturday, February 2, 2019 at the First Baptist Church of Fort Walton Beach, Florida with Dr. Howard Gates and Dr. Mark Bumpus officiating. Family visitation will be held preceding the service from 12:30-1:45 pm at the church. Burial will be in the Brooks Memorial Cemetery. The family is grateful for the great care provided by all care givers, administrators and chaplains at Elmcroft Senior Living, Solaris Hospice and Kindred Home Health during these later years of her life. Memorials may be made to the Woman’s Missionary Union Foundation for Texas and Florida projects (100 Missionary Ridge, Birmingham, AL 35242); Florida Baptist Children’s Home (PO Box 8190, Lakeland, FL 33802); or Baptist College of Florida (5400 College Drive, Graceville, FL 32440). McLaughlin Mortuary, Fort Walton Beach, Florida and Morrison Funeral Home, Graham, Texas, have been entrusted with the funeral arrangements.